raised red sandstone quoins. Graduated greenslate roof with coped gables. moulded-surround windows in aisles and in clerestory. C19 gabled stone porch. windows. 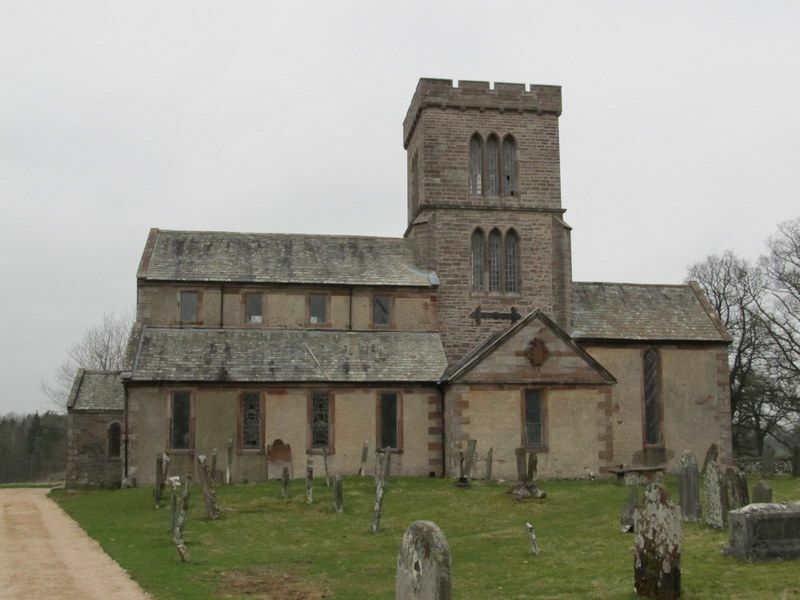 Transepts are late C17, that to south with Lowther arms in pediment. priest's doorway and tall round-headed windows, 2 in east wall. North vestry. 1936, plates 13, 44, 96 and 138.